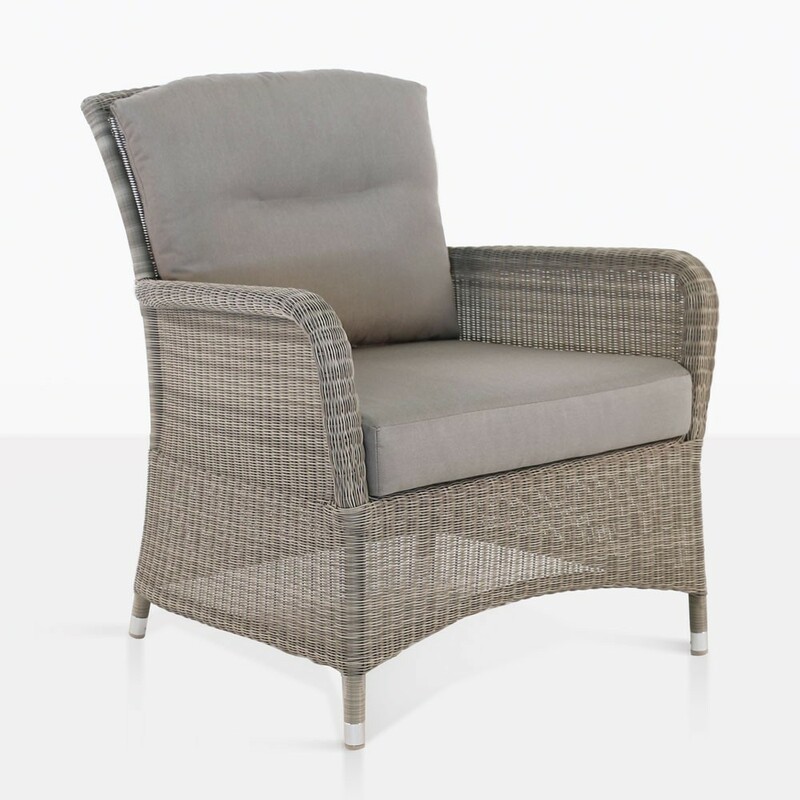 Classic, comfortable, stable, and so versatile, the Gilbert Occasional Chair is a synthetic wicker chair, built to last with high end materials like powder coated aluminum and synthetic outdoor wicker. 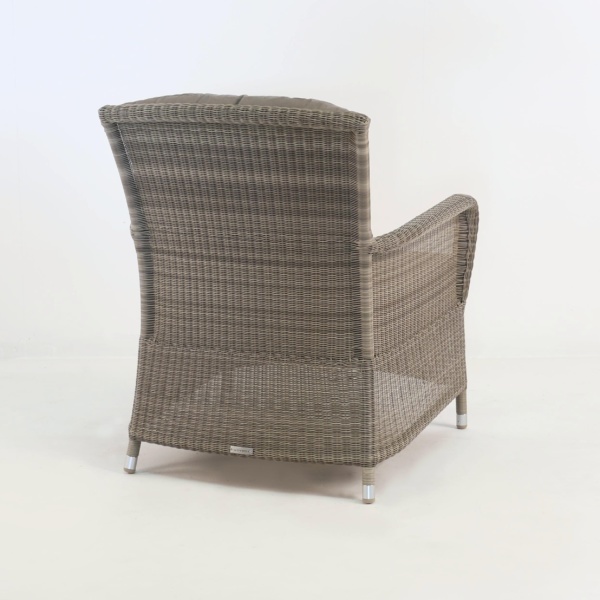 W30" x D31" x H34"
The Gilbert Wicker occasional chair is a guaranteed crowd pleaser as it could be used for relaxing or as extra seating. The moderately sized Sunbrella® cushions offer excellent comfort while still being stylish. 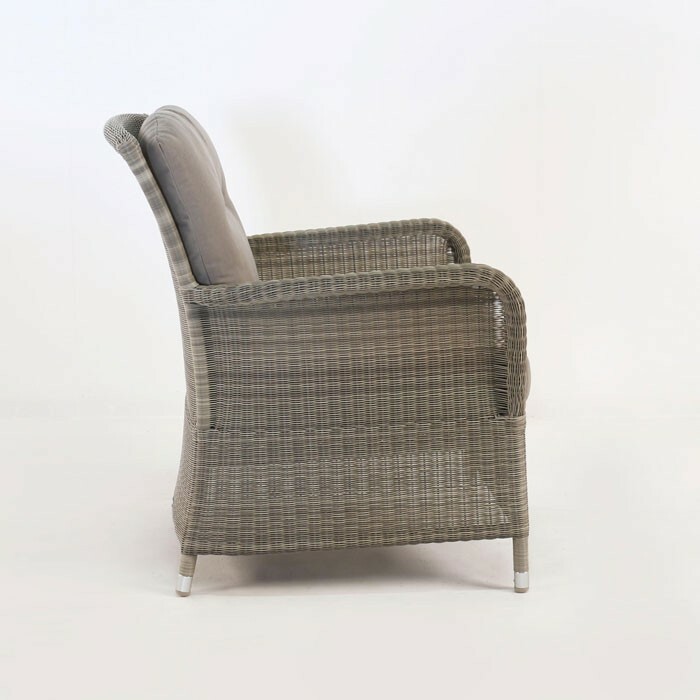 The natural look of the synthetic fiber makes this comfortable occasional chair a perfect fit in so many different environments. 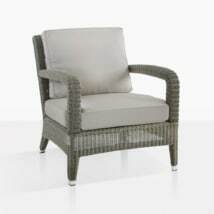 For certain applications it even makes a resplendent dining chair, where dinners can easily go long into the night.